Bayugan East Central Church of the Seventh-day Adventist host the Sabbath School Teachers’ Certification Level II. The theme for this seminar is “Revival and Christian Life” that focus on the area of Integrated Evangelism Lifestyle with Sabbath School Teachers’ Certification Level II. During the opening night, Pr. Antonio Pamunag – the president of Seventh-day Adventist in Northeastern Mindanao spoke about the importance of discipleship and the need of revival in the church. Pr. 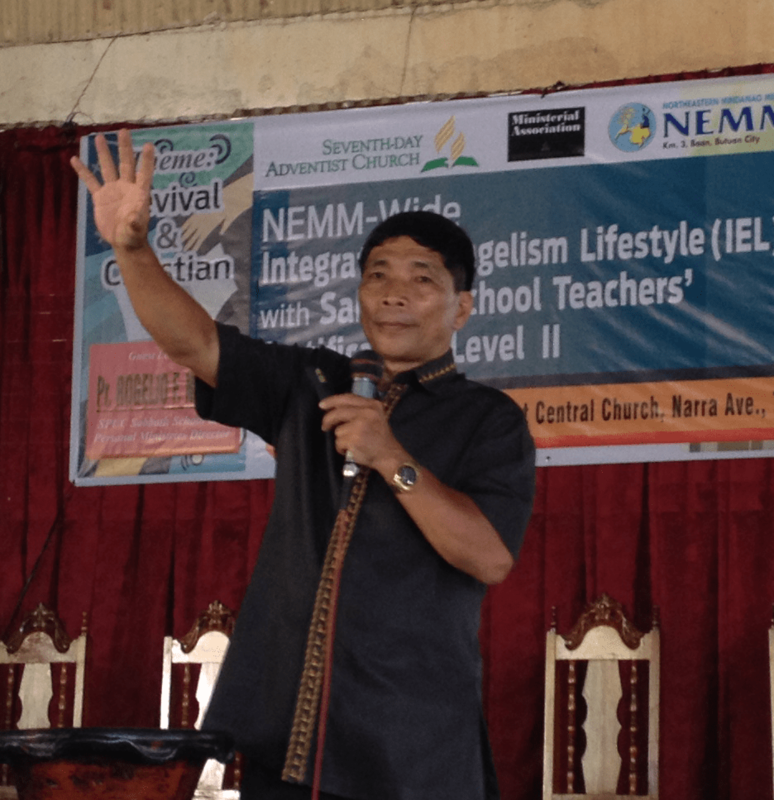 Bernabe M. Dahunan – the Sabbath Director of Northeastern Mindanao Mission added, It is the aim of the Sabbath school department to equip, enhance the quality of Sabbath school teachers to integrate, Bible Study, Fellowship, Evangelism, and World Mission. Pr. Jerry Taguno – The district pastor of Hinatuan and Tagongon spoke during the morning worship and encourage that change must be seen in our lives. Pr. Rogelio F. Nomus – the present Sabbath School Director of the South Philippines Union Conference is the main lecturer and speaker of the seminar. He emphasized the importance of revival in the church and new methods to strengthen the teachers. Pastor Rogelio V. Nomus continue his lecture on improving the Sabbath School Teachers and in the evening during the vesper program, the delegates received their pins – a symbol that they finished the Sabbath School Teachers Certification Level 2. There were 221 delegates coming from different districts in Caraga Region. This is a three-day seminar that began in April 2 and ended last Saturday, April 5, 2014.